Editor's Note: We have translated Estelle-Marie's initial impressions review from the original French (here) into English. We will also be publishing a multi tester review of the S/Lab Ultra 2. 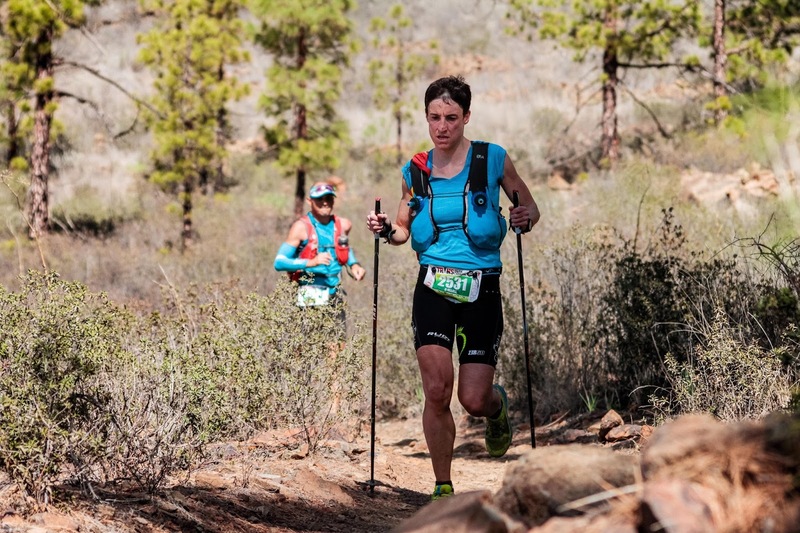 Estelle-Marie is a doctor, accomplished triathlete, trail runner and "Advanced Shoe Geek". She lives in France. For more background on the S/Lab Ultra 2 see our article about the introduction of the S/Lab Ultra 2 is here. Our article about our recent visit to Salomon's Annecy Design Center where we saw prototypes of the Ultra 2 and got insights into its design is here. I was finally able to get a hold of the running shoes that François D’Haene wore to win the UTMB (2017): the famous new S/Lab Ultra 2! 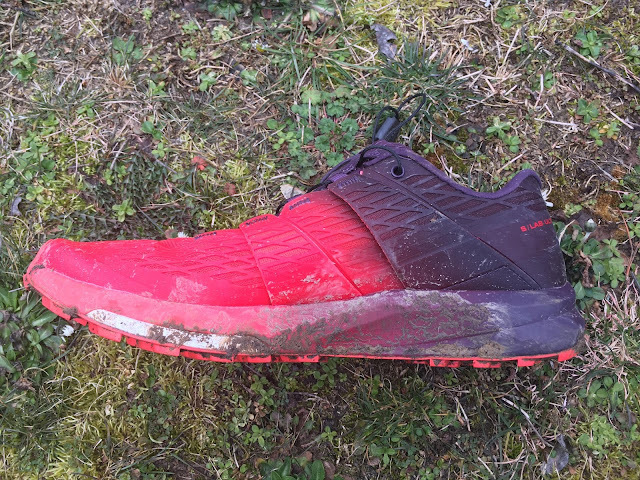 My first run in them was 6.2 miles on a trail with mud, rocks, and some gravel. I am a forefoot runner 80% of the time and otherwise a mid foot striker. I weigh 123 lbs/ 56 kilos. The new S/Lab Ultra sizes large for me: fitting me a ½ size larger overall fitting than the S/Lab Sense Ultra at the same size 40. I was 40 in XA Elevate, Amphib XA, and Sense Ultra. I am 41 in the Hoka Speedgoat 1 and 2. The toe box is fairly narrow, narrower than the XA Elevate's, and slightly narrower than the S/Lab Sense Ultra's. The heel cup is quite soft with little padding in comparison to the XA Elevate and the S/Lab Sense Ultra but is very comfortable and with no hard spots. A bit like a Hoka, the midsole extends up above the foot level of the midsole for a secure fit at the heel while also adding some stability. The Quicklace system, a feature of Salomon footwear, differs from other models as the lace pocket enccompases the last two eyelets. 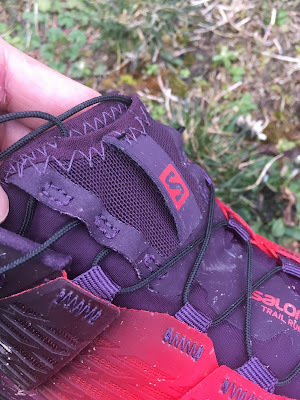 This Quicklace system makes it difficult to pull the cable evenly across the foot for a perfect fit: either the forefoot is too tight or it is the mid foot. I had to start again a few times, finding it annoying. The tongue is not overly thin and disperses the tension well. If I keep the shoes, I will cut the cable and go back to a Quicklace system that is more practical. The upper's midfoot and ankle collar opening feature two exterior Sensi Fit plastic straps on each side of the foot to supposedly provide a more secure fit. The outsole is mostly similar to the S/Lab Sense Ultra at the forefront and differs slightly in the mid foot with the Sense Ultra having some additional lugs there. The profile of the lugs and the outsole provide excellent grip, comparable to the S/Lab Sense Ultra: no surprises here. The drop is 8 mm, however, it feels closer to 4-5 mm, and clearly feels less to me than the S/Lab Sense Ultra and the XA Elevate's drop. In terms of weight at 9.5oz/258 g it weighs slightly more than my S/Lab Sense Ultra (9.1 oz/258 g) and my XA Elevate (9.2 oz/261 g). The forefoot shock absorption is greatly improved over the Sense Ultra thanks to a new feature, the white Energy Save PU forefoot insert system which the Sense Ultra didn't have. 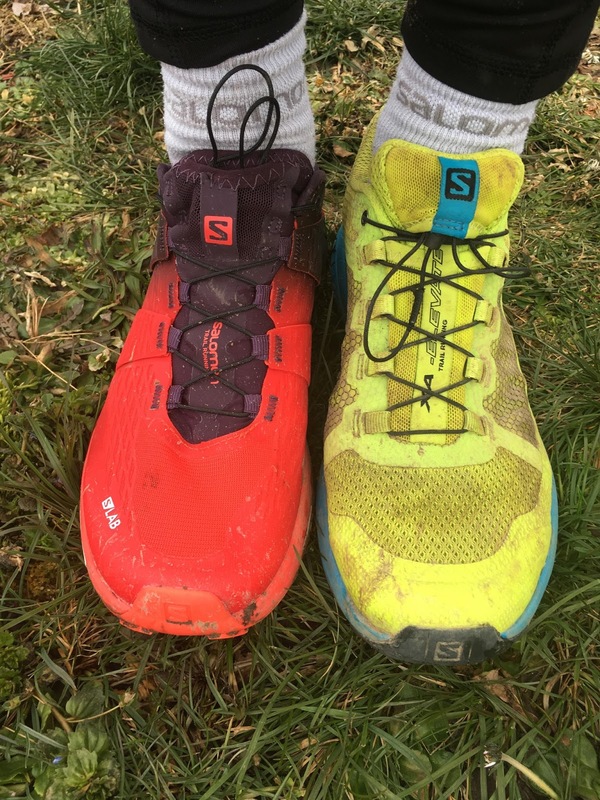 The Ultra 2 has less trail feel than Sense Ultra 1 yet the feel remains firm and is a considerably firmer than the super cushioned softer Speedgoat 2. The forefoot seems less stiff than the XA Elevate and provides better shock absorption than the latter, with somewhat less trail feel and also less rock bite than XA Elevate. While the Ultra 2 provides more underfoot protection than the XA Elevate, it does not match the over the terrain comfort of a Hoka. From a responsiveness and agility perspective, I am disappointed. The underfoot feel of the midsole is relatively inert and a lot less dynamic than the XA Elevate's. It feels somewhat heavy and lacks precision. In my opinion, the lack of precision is caused by the poorly foot conforming fit of the upper and the relative narrowness of the forefoot fit. With regards the heel, the shock absorption is inferior (in like manner to the drop feel) to the XA Elevate and the S/Lab Sense Ultra. 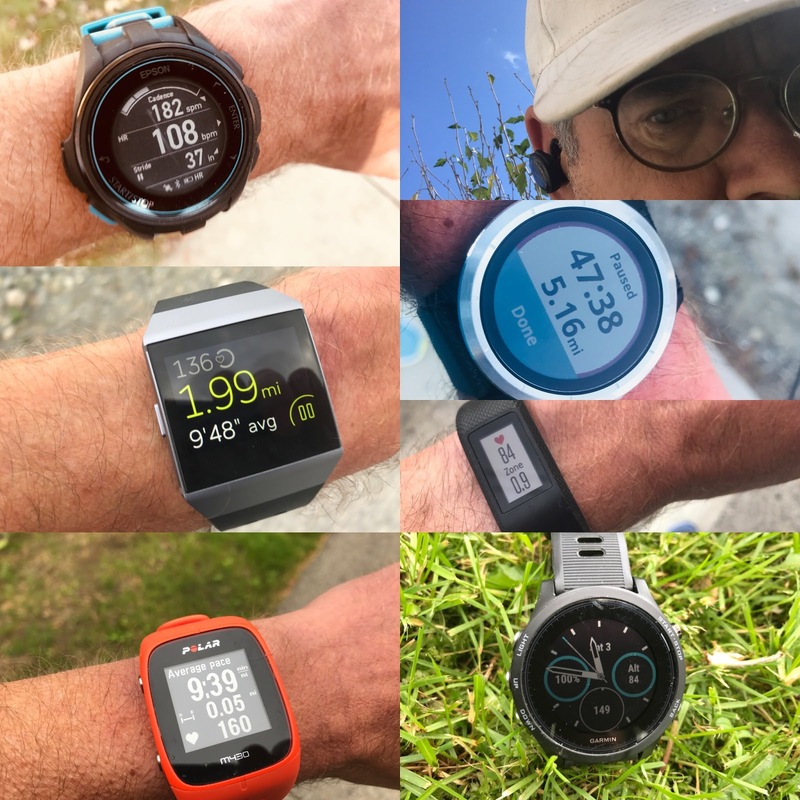 Heel striking is harsh and relatively unpleasant: the cushiness and adaptability of the XA Elevate or the S/Lab Sense Ultra have sadly disappeared. The most surprising element remains the difference between the shock absorption of the forefoot and the firmness of the heel. The S/Lab Ultra 2 leaves me quite perplexed. 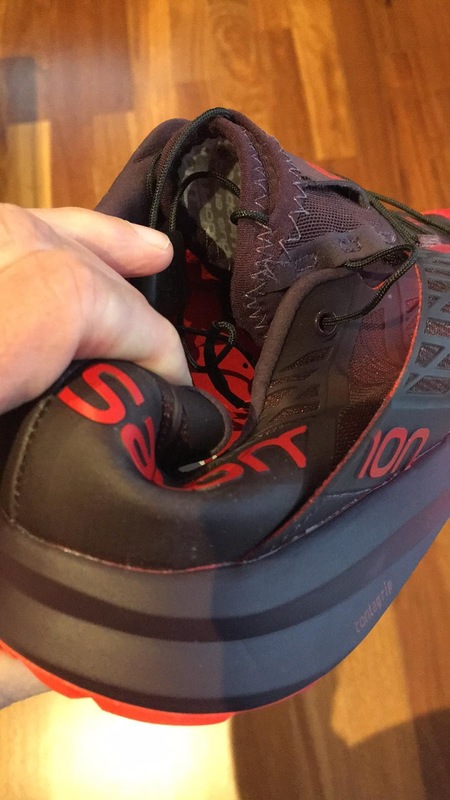 As intended, it corrects a flaw of the S/Lab Sense Ultra, essentially the lack of cushioning at the forefoot. Certainly, from that perspective, it is improved. However, from a stability standpoint, it is not as good as the Sense Ultra. In like manner the upper and its rigid fit lacks precision and comfort (will it get better with time? – I have my doubts given the plastic straps..). Moreover, the responsiveness is inferior to the S/Lab Sense Ultra and the XA Elevate while weighing more than the XA and also having a higher price tag. Without hesitation I prefer the XA with a heel that is more accommodating, a slightly higher drop, a better adjusted upper, and a forefoot fit and trail feel that is more precise and responsive. The comfort in the forefoot is really superior in the new Ultra 2 when compared to the Sense Ultra, which I can only run short distances and on smoother not very rocky trails. Nevertheless, the agility of the Sense Ultra is clearly superior to the Ultra 2. The Speedgoat2 has a fit which is far from perfect is nevertheless better than the Ultra 2's – a shoe that in the end is not very comfortable. The Speedgoat2 has more cushioning than the Ultra 2, but also a more responsive forefoot. The Ultra 2 feels heavier and clumsier. In terms of sturdiness, the Ultra 2 fairs the best. After 90 miles, the upper mesh of my Hoka gave out. 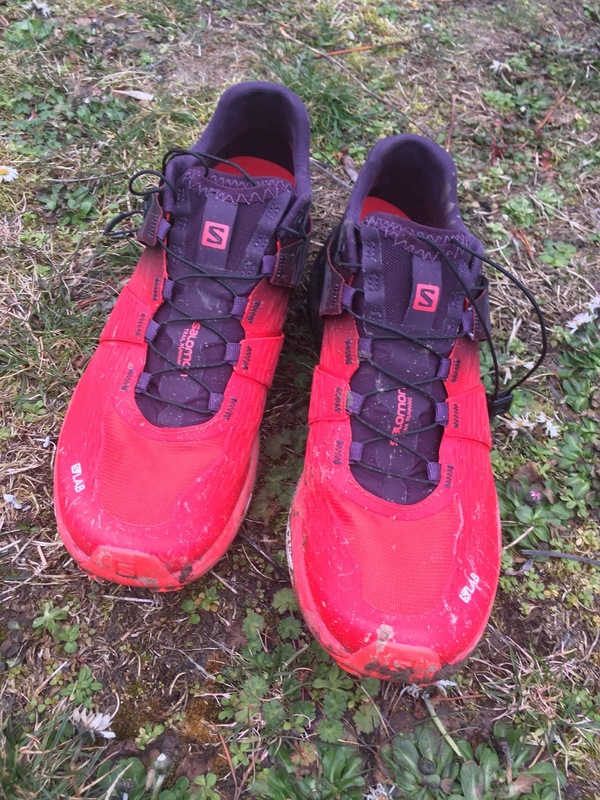 SHOP RUNNING WAREHOUSE USA FOR SALOMON S/LAB ULTRA! 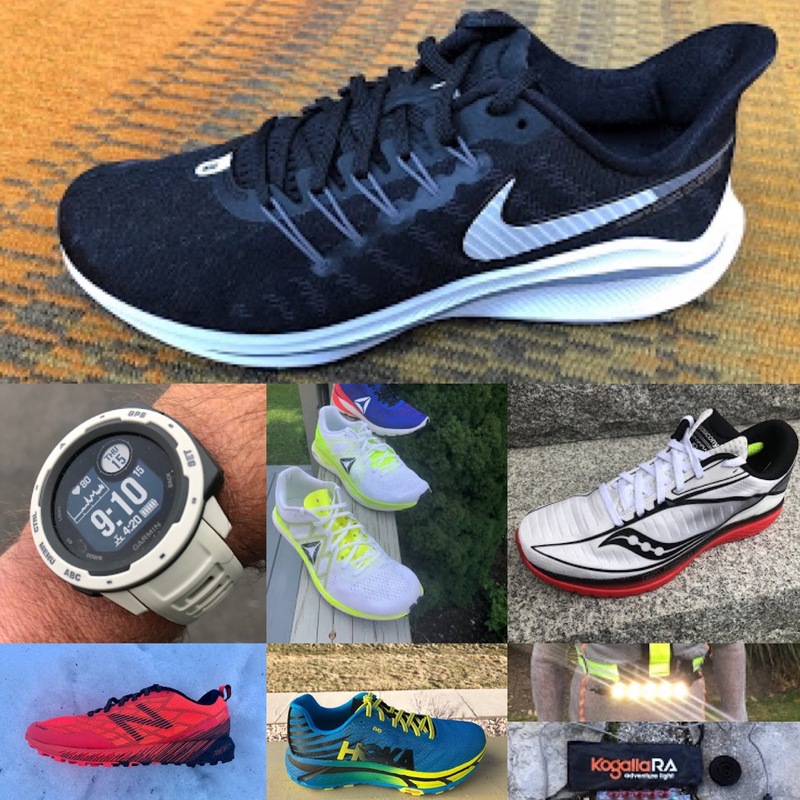 I don't know anything about the running shoe business, but what makes these shoe companies do such major redesigns on successful products? 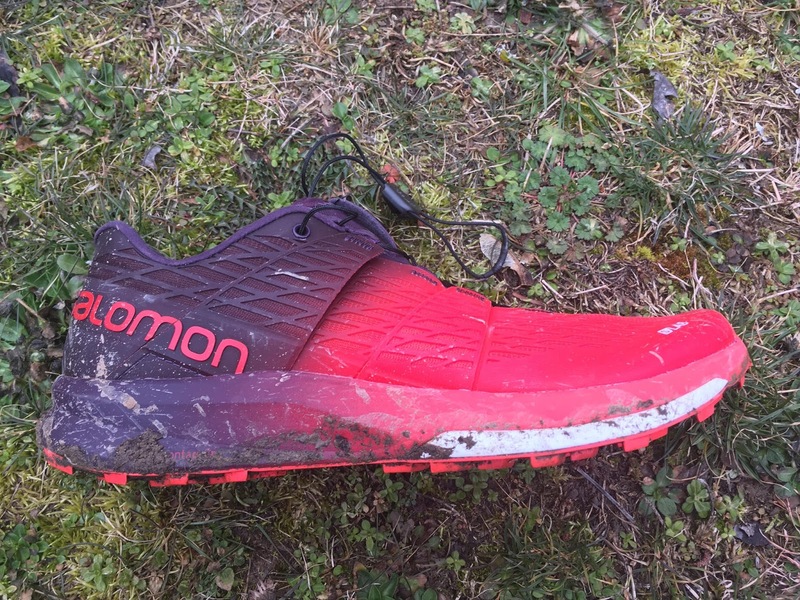 The Salomon Sense Ultra was apparently the best selling S-Lab product ever and after only one year they do such a big redesign. Why? I'm glad I stocked up on some clearance version 1s. It is sad how some people and companies expect significant updates on a yearly basis, I don't understand. Even in European football they redesign the kits every season, absolutely no need especially when they end up ruining a good one. Which might apply to this sense ultra as well? Agreed... I wish I would have purchased a couple more pairs of the V1s. I recently received the V2's and I feel like they really did ruin a good thing. Such a shame. 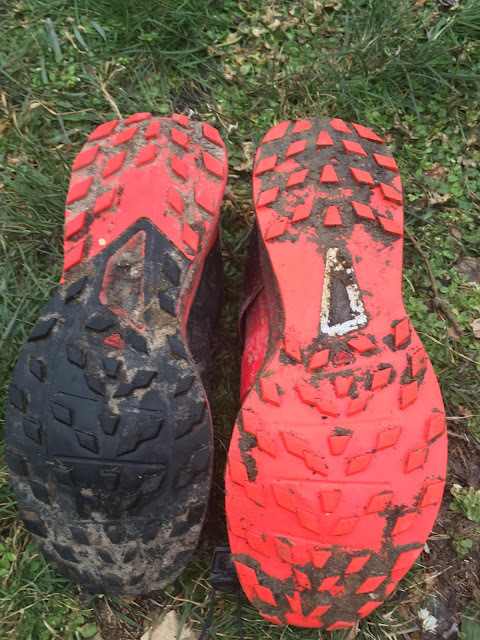 All version 1 needed was a couple mm more cush in the forefoot and a SG version with 6mm lugs to be the best Ultra shoe around for all conditions. Looks like another pair of Akashas for this season then, glad LS know when they are on a good thing and don't change annually!